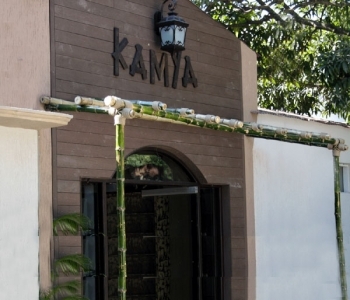 Kamya Resort stands out for its home like elegance along with the wilderness of Jim Corbett national Park. We offer you an opportunity to get all the comforts of your house along with a direct touch with the wild. If you just want a comfortable evening in solitude, then Kamya Jungle Lodge Resort is the place for you as it has a beautiful and cheerful next door neighbor: the river Kosi. One can just sit by the river and feel one with the spiritual flow of water. 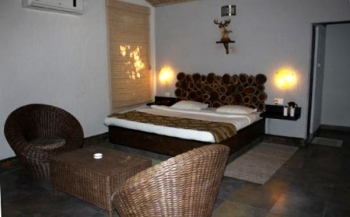 Kamya Safari Lodge Resort is located within the famous mango orchids of Jim Corbett just 250 kms from New Delhi. At Kamya Safari Lodge, We believe in providing a home like atmosphere with all that you can ask for; fridge, personal sit out deck with every room, air conditioner, television, attached bathroom, power back up and if you have an extra person then we are happy to accommodate an extra bed now and then. We bring you everything you can ask for right in the middle of one of the wildest places in the world. Kamya Safari resort have a special multi cuisine restaurant which serves a large variety of finger licking food. Bar-be-que and Hooka lounge is enjoyable too in the resort. - Evening Tea with snacks. - One Jeep Safari (Sitabani ) on sharing basis. - Gala Dinner on 31st December with complimentary cocktail snacks,soft drinks , Music and Bon Fire. The nearest railway station to Kamya Resort in Corbett National Park is Ramnagar, which is 12 km from the Park. The closest domestic airport is Pantnagar at a distance of 50 Kms. By road : Most tourist prefer to drive down to Corbett National Park. It takes approximately 5 hours from Delhi to cover the 250 km stretch to reach the Kamya Jungle Lodge.